Note: Advancing and Beginning categories address your REEDMAKING skills only. Beginners will start with learning to wind, basic knife skills, and reed construction steps. They will move more slowly. Advancing Reedmakers will begin by making reeds, and will evolve and improve their existing skills over the weekend as they work with me, my Guest Master Reedmaker, and each other. Sometimes you just need some advice from a non-judgmental expert. 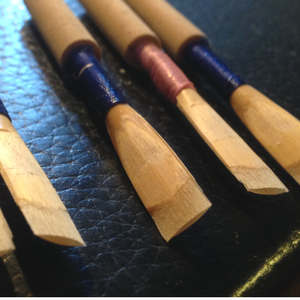 Send me one or three reeds, and I’ll improve them and tell you how. 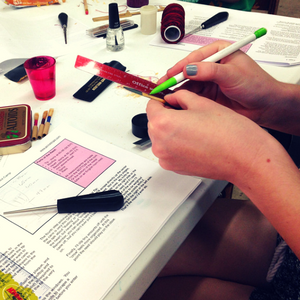 Reeding Circles are informal social reed-making sessions, open to reed-makers at all levels.